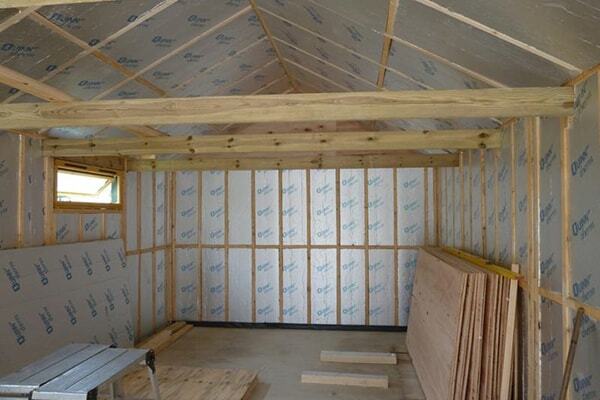 Thinking about insulating your shed? Not sure where to start? Read our guide to shed insulation for all the top tips you need. When it comes to shed insulation, it is important to understand that not all sheds are ideally suited for insulation. Metal sheds and small plastic sheds tend to not have a construction that lends well to shed insulation; at least not via the process that will be discussed below. It may be advisable to change the shed to a more robust type that can accept shed insulation. Generally, any type of standard timber shed can accept shed insulation to help it retain heat better in the months of colder weather. Why Should I Insulate My Shed? Many people in the UK spend a lot of time in their garden and using their sheds; so, considering the addition of some insulation to a wooden garden shed will help keep the warmth in and extend the time the shed can be utilised. The shed insulation can help reduce damage to the stored equipment, tools, and boxes as well as allow for plant storage and even use of the shed as a workshop or other type of recreational room. What Is Involved in Insulating a Shed? The proper insulation of a shed requires the sealing of gaps, installation of sheets of insulation, and even the possibility of drywall installation. Before deciding the type of shed insulation to utilise, consideration should be given to the different areas of the shed that will need insulated: the walls, the floor, and the doors or windows. Each of these components requires specific demands. The following guide will help sort out these requirements. Windows: Shed insulation on the walls will do little good if there are breaks or gaps in the windows. The first step is to replace broken windows. Check seals and replace if necessary. Consider installing double glazed windows if the garden shed will be utilised as additional living space. Single glazed windows allow a lot more heat loss than double glazed windows do. A DIY option is to attach a sheet of perspex over the windows on the inside of the shed; of course, this won't work with opening windows. Roof: Check to see if there are any leaks in the shed by examining it during rainfall. In lieu of rain, use a garden hose and spray it over the shed roof and then examine for signs of leakage. Look for dark stains to identify potential water leaks. Sealant can be used to patch thin gaps, while larger holes can be sealed with expandable spray foam. Make sure the roof felt is intact, replacing or securing any torn felt. Floor: Fill any obvious gaps. You can also lay a waterproof membrane and then tack old carpet to the floor. Ask family and friends to let you know if they are getting rid of old carpet or buy cut offs from carpet stores. Door: As with the walls, fill gaps with sealant or foam. Check the door is hanging securely. Add seals over hinged edge if necessary. The first step is to measure the space between the studs to determine the width of batting or sheets that will be needed for the shed insulation. If the studs are 45.7 to 61.0 cm (18 to 24 inches) apart blanket or batting insulation will work well. Since these are standard wall sizes the shed insulation can simply be rolled out and secured between the studs, beams, and joists. If the distance between the studs is not a standard wall width, but the width does occur in regular intervals, then choose foam board or polystyrene sheets. This type of shed insulation works well despite it being fairly thin. However, if the shed has a large number of electrical outlets, this type of shed insulation is not recommended. The previous options are for walls that may be unfinished. For walls that are already finished choose foam, loose fill or spray insulation. Holes can be cut into the walls for the shed insulation to be blown into the frame. A DIY option is reflective foil-faced insulation, which is flexible and can be bent around obstructions or corners. Bubble wrap is another great DIY option; you can even purchase foil backed bubble wrap which works by trapping the heat via the air bubbles. Bubble wrap can be attached to the walls and roof with a staple gun or a hammer and nails. For foam or blown-in shed insulation, it is best to hire a professional contractor because some of these installation methods require special equipment. Shed measurements can be taken into the local home improvement store for advice from the professionals; they will be able to give advice on the amount of shed insulation to purchase to cover the shed. The stud spacing measurements should be part of the overall measurements needed. Foil or batting sheets should be rolled out horizontally and the polystyrene should be set against the frame. Use a staple gun to attach the batting or foil sheets. They should be stapled to the studs. Polystyrene sheets should be glued onto the studs and walls with a special adhesive. 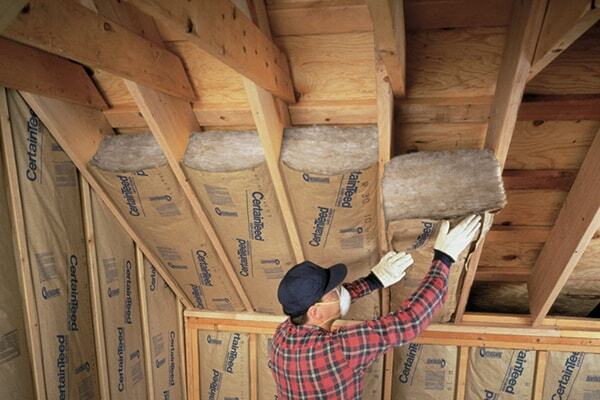 Where the sheets of shed insulation meet they should overlap, continually moving up the wall in horizontal sheets. Cut small sections of insulation sheets with scissors. Both the walls and the ceiling should be insulated, but the insulation on the ceiling should have a two-inch gap between it and the top of the ceiling to let moisture escape. Finally, the sheets of shed insulation can be covered with drywall to give the interior of the shed an attractive and finished appearance. Drywall should be applied to the ceiling first and then the walls. As well as optimising your shed with insulation, take a look at our range of shed accessories including these great ideas: shed security, solar shed lighting, shed hooks, shed shelves, and shed guttering. Of course, if your shed has had it's day and even insulation won't help. Take a look at our fantastic deals on a brand new shed, today!